1 A pilgrim walks on her knees paying penance at the Fatima sanctuary in Fatima, Portugal. 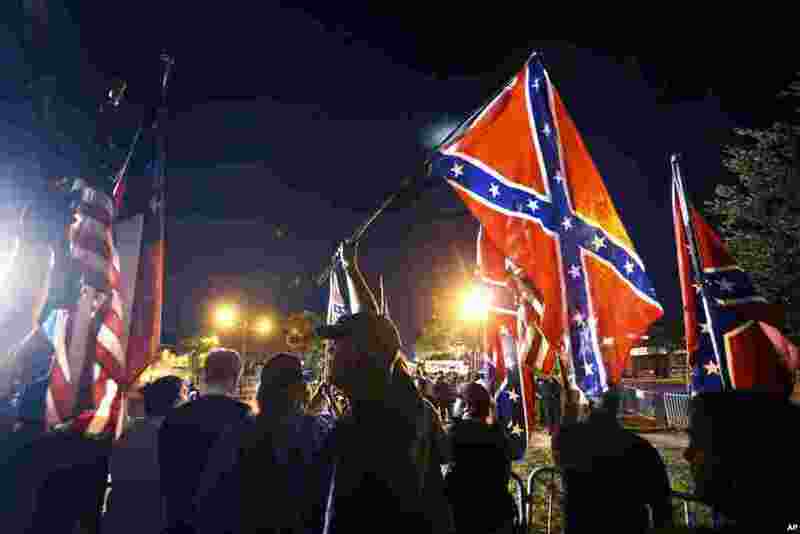 2 Demonstrators in support of keeping Confederate-era monuments protested before the Jefferson Davis statue was taken down in New Orleans, Louisiana. 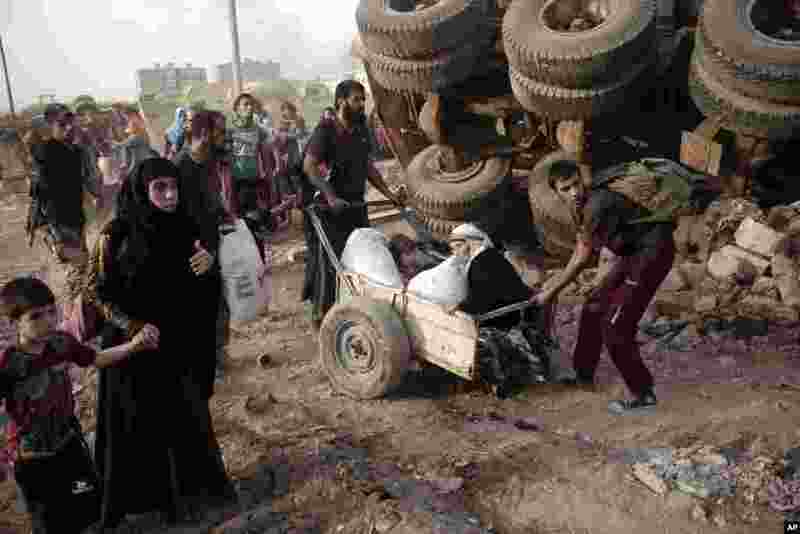 3 An elderly woman and a child are pulled on a cart as civilians flee heavy fighting between Islamic State militants and Iraqi special forces in western Mosul, Iraq, May 10, 2017. 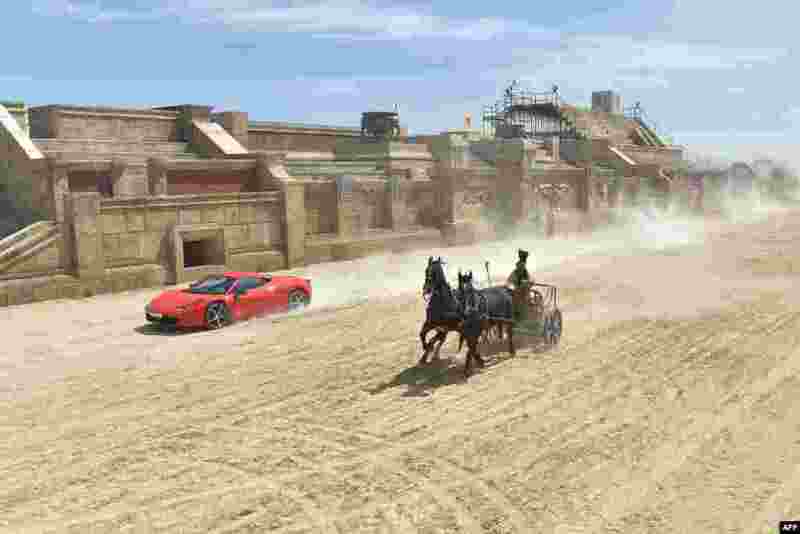 4 Ferrari driver Fabio Barone and his Ferrari 458 Italia compete against a Roman chariot drawn by two horses on the "Ben Hur" movie set at Cinecitta World amusement park in Castel Romano near Rome, Italy.